This is Kayden's third rented exersaucer!!!! This interactive activity center - whose concept is a DJ Console - delights Kady with upbeat music, fun sounds, flashing lights and dance beats. He bounces happily and chuckles!!! 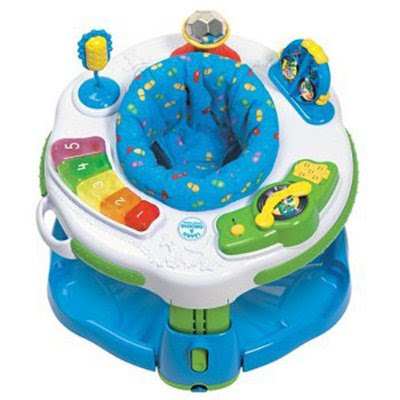 This exersaucer is designed with vivd colours 'stations' which interest and captures babies' attention. 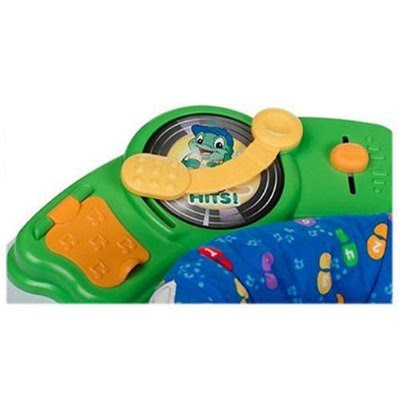 A flip of the jukebox page transforms learning activities into musical discoveries! 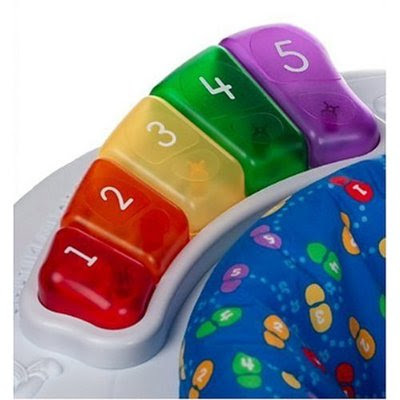 In learn mode, activities help develop fine and gross motor skills while introducing the alphabet, numbers, counting 1 to 5, colours, language development and action/reaction. Music mode features real instrument sounds and various musical styles. 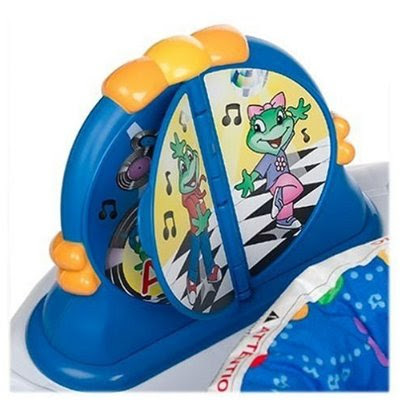 Perfect match as Kady's on Kindermusilk too... and his mommy loves music and dance! Week 36: SmartBaby > What's On at 8-9 months? I Won A Combi Coccoro Worth $339!!! Kindermusik - Village Theme: Zoom Buggy! Week 35: "Squirt Fun Water Gun"